1.3 Our website incorporates privacy controls which affect how we will process your personal data. By using the privacy controls, you can specify whether you would like to receive direct marketing communications and limit the publication of your information. You can access the privacy controls in every message that is sent out. 2.3 We may process your account data. The account data may include your name and email address. The source of the account data is you. The account data may be processed for the purposes of operating our website, providing our services, ensuring the security of our website and services, maintaining back-ups of our databases and communicating with you. The legal basis for this processing is our legitimate interests, namely the proper administration of our website and business. 2.4 We may process information contained in any enquiry you submit to us regarding goods and/or services. The enquiry data may be processed for the purposes of offering, marketing and selling relevant goods and/or services to you. The legal basis for this processing is consent. 2.5 We may process information relating to transactions, including purchases of goods and services, that you enter into with us and/or through our website. The transaction data may include your contact details, your card details and the transaction details. The transaction data may be processed for the purpose of supplying the purchased goods and services and keeping proper records of those transactions. The legal basis for this processing is the performance of a contract between you and us and/or taking steps, at your request, to enter into such a contract and our legitimate interests, namely our interest in the proper administration of our website and business. 2.6 We may process information that you provide to us for the purpose of subscribing to our email notifications and/or newsletters. The notification data may be processed for the purposes of sending you the relevant notifications and/or newsletters. The legal basis for this processing is consent. 2.7 We may process information contained in or relating to any communication that you send to us. The correspondence data may include the communication content and metadata associated with the communication. Our website will generate the metadata associated with communications made using the website contact forms. The correspondence data may be processed for the purposes of communicating with you and record-keeping. The legal basis for this processing is our legitimate interests, namely the proper administration of our website and business and communications with users. 3.3 We will share transaction data with our payment services providers only to the extent necessary for the purposes of processing your payments, refunding such payments and dealing with complaints and queries relating to such payments and refunds. Please make sure you check the privacy policies and practices of any payment services providers. (a) the period of retention of contract and consentdata will be determined based on the length of time you wish to remain a registered customer. 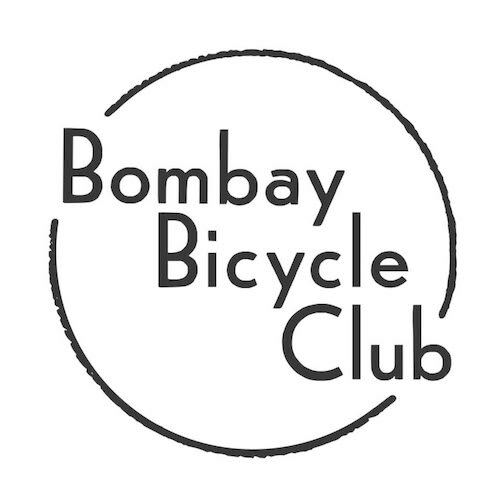 10.1 This website is owned and operated by Bombay Bicycle Club.